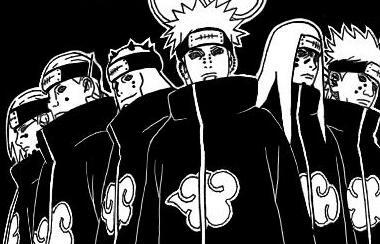 All the way to the far back of the moutain, Nagato stood on the platform with the help of his machine, sending singals into the chakra peircing with all 6 Peins who stood in the middle of the moutain with the rest of their assigned team. Standing on the rocks that stuck out of the moutain and trails that led around the moutain, the 6 pains who stand above the rest of their team looking down at everyone. Gold relm in the middle would say what ever Nagato would say looking through all of their eyes with the Rinnengan. "For now I will be asigning three cells. One to head over to the edge of the river, one that will head over to the forest where the bridge is and another that will head over to the chain of moutains leading to the forest area. Animal relm pein will send a summoning to help each one of you. Animal relm will then take the air and fly around looking for the other team leaders. If he does not find them he will summon us to go attack their bases. If he finds their leader he shall do the same. But untill then we will be sending the others to temprarly be within your cells. Here are the cells." Team Kakuzu; Kakuzu, Haku, The 3rd Temporarly:God Relm and Demom Realm. "Team Jiraiya will be heading out towards the chain of moutains, Team Sasori will be heading out towards the rim of the island at the ocean and finaly team Kakuzu will be heading to the bridge. Set out." Each and every shinobi moved like a blur throug the moutain land scape heading towards their assigned positions but Animal Realm. Placing his hands together, black markings would form on the moutain before him as a tiny explossion errupted revealing a bird. Hopping onto the birds, it would begin flying towards the chain of moutains where team Jiraiya was situated. Knowing their exact location do to the Rinnengan, senconds later Animal realm was right above their heads. Performing the same seal as before and suddenly a large centapeed would apear slithering around the moutains hiding from team Jirayia incase they were attacked. Swiftly flying over to team Sasori, Animal realm would summon a massive crab that would hop into the ocean water surveiling the waters bellow. Last but not least over to the forest near the bridge, Animal Realm would summon a tiny dog that would travle with the team. With the teams set Animal Realm Pein set off like a bullet for heading off towards the middle of the ocean where the shrine was located. Each Pein would then tell their team "We shall wait before procceding on to see if we can figure out what the other teams have been planning." Nagato would soon notice a tiny black whole forming in the air a few feet infront of him, if he was looking there. Within seconds the whole would open up into the oranged masked akatsuki member, Tobi. Starring into the eyes of Nagato with his only revealing sharingan, Tobi would say "Hmm, i never imagined to run into you, Nagato." Scanning all the receivers that peirced through Nagato's body, Tobi realized they were the same ones that the other Pein's had. Looking around, Tobi would look to see if there were any other shinobi around to protect him. Looking back at Nagato, Tobi would chuckle a bit and say "well that was not a very smart move. You left yourself complete unguarded. Now if i wanted I could kill you right now..." wondering why they would leave him alone. 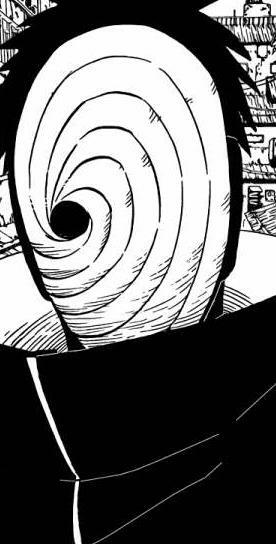 Nagato was buissy controling the 6 paths of Pein which he had created, handling things outside of his base. Suddenly through his own Rinnengan the skinny man saw something apearing before him. As the ripple in the air changed shape, suddenly the body of a shinobi started to form and Nagato already knew who it was. "Madara." He said as Tobi's entire body had formed revealing his orange mask that stuck out like a soar thumb. "What a pleasant surprise." Nagato said right after the Uchiha spoke his first words. After he finished speaking the Sage of 6 Paths would say "You didnt come here to threaten and mock me did you. I'm am most certaint you didnt come here to fight me. Now what is your reasonings for being here." While he spoke to the Uchiha before him he would continue to control his 6 Peins watching through all of their eyes. Nagato had the same look on his face the whole time with those eyes of his as he spoke to Tobi. Once he had finished and asked Tobi his question. Tobi would same "Hmm, now that you think of it I don't know why i came to see you. But now that i found you i might as well have killed you and stopped all those Peins you sent out. But your lucky i have other matters to attend to. Say, you would'nt happen to know where...... wait i can't tell you, it is your president. Anyhow, I don' belive we will be seeing each other again, Nagato. I got things to do, you got things to do, i thinkg i'll just let you be" as his body started forming into the black whole of his mask. And then he was gone. Tobi had finally left Nagato after his usless arrival. A while after Rock Lee arrived on the back of one of Jiraiya's frogs. 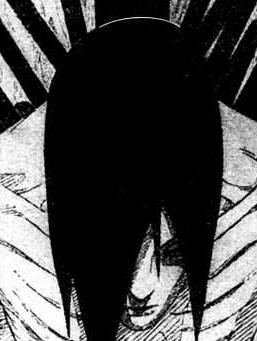 Nagato looked over to Rock Lee and saw that his shins were completely broken. Suddenly beside Nagato a demonic head rose up from the ground beside him. "Throw him in." He told the frog. Obeying his orderd the frog threw Lee in the mouth and seconds later he emerged from the demonic head as good as new. Preparing to head back to the fight as the frog vanished Nagato said "Hold it. I want you to go down to the bridge. I have no eyes there an have no idea whats going on. I need you to be my messanger and tell me whats going on." Rock Lee noded and within a flash he was gone. "Well well well... what the hell do we have here?" Nagato would hear a voice come from the far end of the platform as Kidoumaru climbed up onto it. He was all dirty and sweaty from his hike through the mountains, but he had finally made it to the enemy team's base. "Looks like the entire team has left you behind... can't blame them, you look too skinny and frail to even be a shinobi. Is that huge machine your attached to life support?" Kidoumaru asked with a smirk as he crossed all 6 of his arms. "You look pretty boring... but I didn't come all this way for nothing. It's time to play." Nagato slightly opened his eyes revealing his Rinengan when he came into contact with one of Orochimaru's pathetic gaurds. Closing eyes while the Kumo nin spoke ignoring his words, Nagato would perform a hand seal and suddenly a tiny cloud of smoke would errupt infront of him and there stood God relm, and lying beside him was Hell relm's body with no head. God relm stood there with no signs of emotion on his face as he looked right at Kidomaru. As Nagato kept his eyes closed while controling all 6 Peins, God relm lifted his left arm as he said "You obviously do not..." Before he finished Kidomaru would feel the strongest force he had ever felt pull him from behind. Pulling him strait towards Pein, the strength of the pull was so powerful that Kidomaru wouldnt be able to move an inch of his muscles. A black rod extended out of his right sleeve. Lifting his right arm, before the powerful pull braught Kidomaru to Pein, he would lift the black rod and extended it right into Kidomaru's heart. "value your life." Pein finished his sentence as his jutsu pulled Kidomaru right into the black rod and through his heart killing him right there and then. Kidoumaru raised an eyebrow when he saw that the skinny emo had summoned another emo with orange hair and black piercings, as well as a headless body. "What the!?" Kidoumaru muttered as he suddenly felt himself being pulled towards God Realm. The moment Kidoumaru saw the pointy black rod aimed at him, he started releasing golden mucus all over his chest under his shirt. Thrusting one of his arms forward, he shot a thread of web out from his hand and it attached to the decapitated corpse. Pulling on the web as hard as he could, Kidoumaru pulled the dead body up off the ground and right in front of him right before he collided with the black rod. The rod would pierce through the body of Hell Realm first, deviating it a bit, and then it would hit Kidoumaru's plate of golden mucus armour. The armour would crack and shatter, but it was thanks to it that Kidoumaru only got a deep cut and not a fatal stab. Sticking an exploding tag onto Hell Realm's back, Kidoumaru would jump as far back as he could, leaving behind some drops of his blood. Before his feet touched the ground again, the tag went off. Hell Realm's body would explode, and God Realm would be blasted into Nagato. (Now's my chance!) the 6-armed shinobi thought to himself as he formed a handseal with all 6 of his hands. "Ninja art! Spider web bind!" he roared as he swung his arms apart and released a massive net made of his special web. The net would fall down ontop of God Realm and Nagato like a blanket, pinning them to the ground. "Heheheheh..." Kidoumaru chuckled with a smirk on his face.